EMMEVI has been certified UNI EN ISO 9001:2008 (Certification n° 1213/3) since 1999. EMMEVI ensures the quality and reliability of its products thanks to a careful control of its raw materials. The quality control includes the heat-treatments, the surface processing and the geometrical and dimensional precisions of the goods. 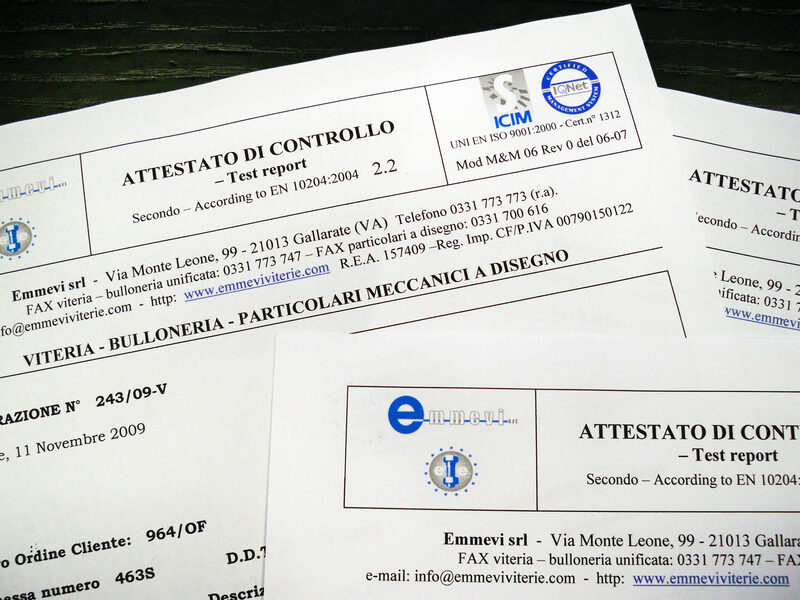 If required, EMMEVI can release conformity statement and technical certificates to its costumers.